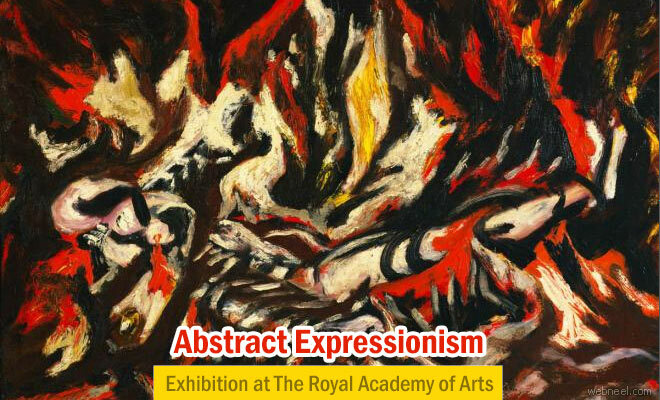 Art Contest : Abstract Expressionism art movement has been around for more than 60+ years in the UK and to help celebrate and the honour the art, popular artists paintings are being exhibited at the Royal Academy of Arts till January 2nd 2017. In abstract paintings, you don't see a definite shape of objects, it's all upto the creator's vision. You can enjoy the paintings of Mark Rothko, who is quite popular for his colorful field paintings. Jackson Pollock popular for his amazing gesture brushstrokes and many other artists who have given a whole new lease of life to these abstract paintings. This art exhibition will be featuring more than 150 artworks from various artists like Phillip Guston, Arshile Gorky, Barnett Newman, Willem de Kooning, Lee Krasner and several others who excel in the field of abstract expressionism. Don't miss out the Jackson Pollock’s Mural, Arshile Gorky’s Water of the Flowery Mill and Mark Rothko’s No. 15. Fees: Ticket price for adults starts from $21 and for children under the age of 16 is free entry. How to reach? Tube: Piccadilly Circus/Green Park Train: Victoria Piccadilly Circus: walk down Piccadilly towards Green Park. The Royal Academy is opposite Fortnum & Masons.